Yes, trains certainly give you that. And there’s little more enticing than a railway track meeting the horizon. Railways, like rivers, are difficult subjects for writers because they go on and on. – Eric Newby, The Big Red Train Ride. All photos: M. Sowden 2007/2010. Travel: What Makes Bad Places *Bad*? One of the nastiest experiences of my life was having coffee at the Paragon Train Station in Hull. 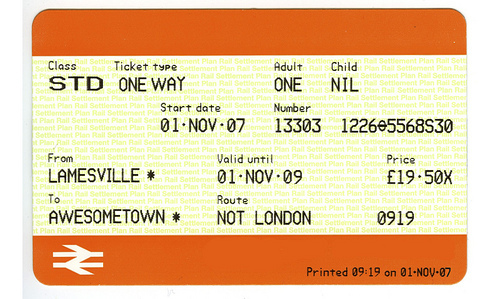 Planning to get cheap British train tickets by just turning up on the day and winging it? THAT WOULD BE INSANE – and here’s why.